Disney Hipster Blog: Mickey Is Not A Clown. Mickey Is Not A Clown. I'm right in the middle of finally reading the epic and amazing The Art of Walt Disney by Christopher Finch. A good friend gave us this book as a wonderful Christmas gift, and I'm glad she did. It is so full of information that I've resorted to sticky noting it all over. Toward the beginning of the book we find the Disney artists just developing, and taking the in house art school that Walt set up, the reputation of which would live infamously. 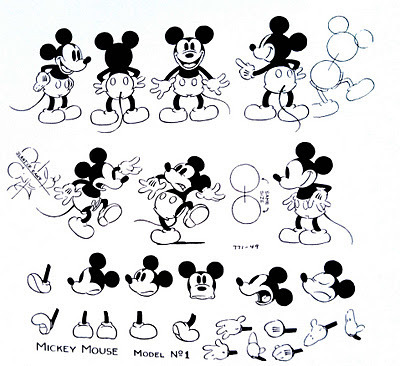 A manual used for the training was put together by Ted Sears and Freddie Moore, and contained this description of Mickey Mouse that I found absolutely delightful. "Mickey is not a clown...he is neither silly nor dumb. 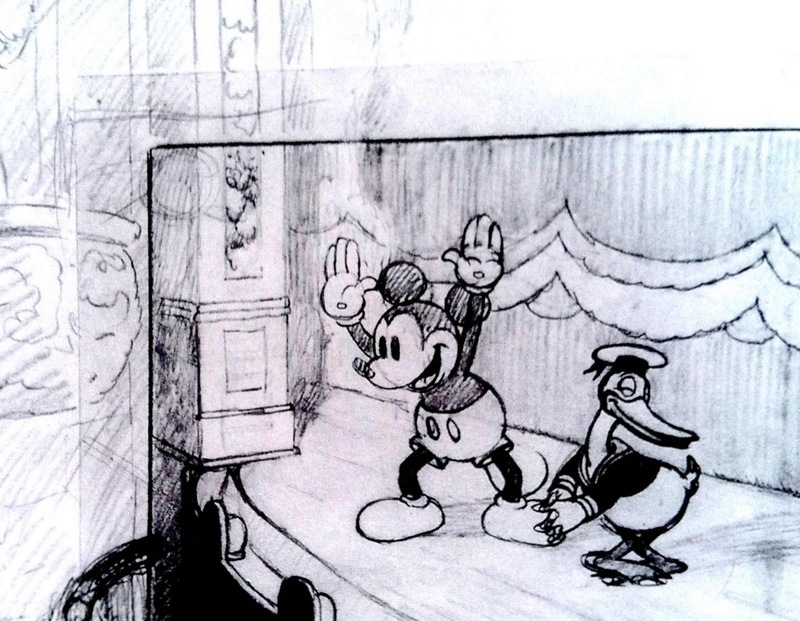 "Mickey is seldom funny in a chase picture, as his character and expressions are usually lost." 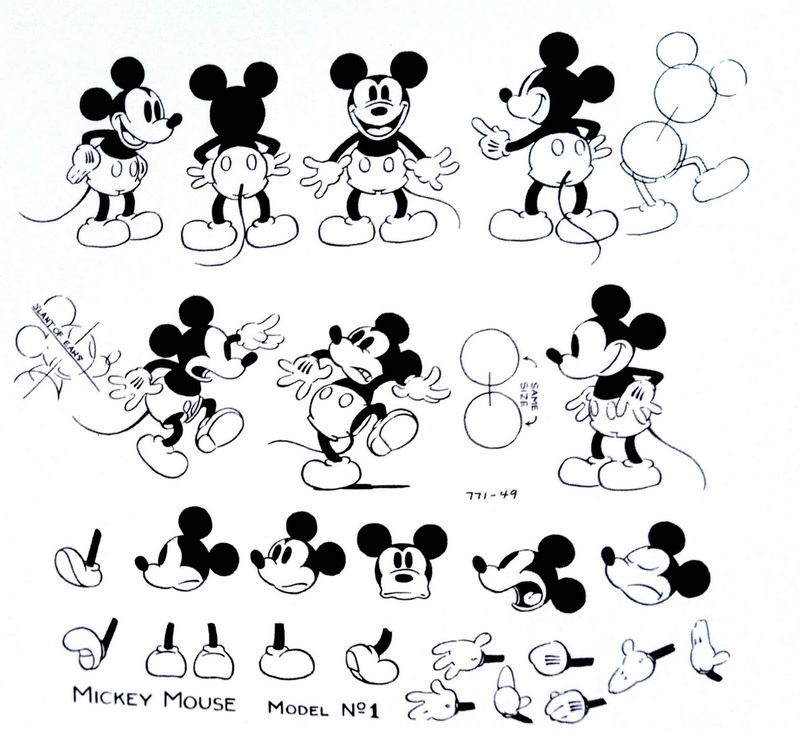 " Mickey seems to be the average young boy of no particular age; living in a small town, clean living, fun loving, bashful around girls, polite, and clever as he must be for the particular story. In some pictures, he has a touch of Fred Astaire, in others, of Charlie Chaplin, and some, of Douglas Fairbanks, but in all of these, there should be some of the young boy. " So Mickey Mouse cartoons were the original "sit-coms"
Goofy and Donald are animated with cartoon physics, so they can move in exaggerated ways and defy death in the cause of clownish humour. But Mickey is animated with real physics and is never put in a situation where a real person would die. This is a subtle way of making him more sympathetic: because he moves like us, we associate more with him. neat story! incl Cory's comment.